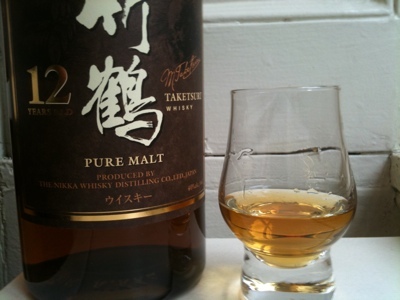 The Coopered Tot: Nikka Taketsuru 12 graces the USA at last. Thanks for reviewing this! 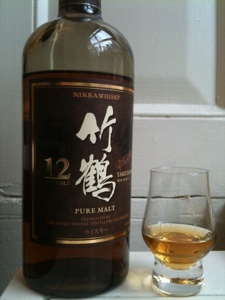 I've been waiting for Nikka in the US for a long time, but have yet to try this one. Looks like not too big a risk, from your review (nonjatta turned me off when I first read the review). 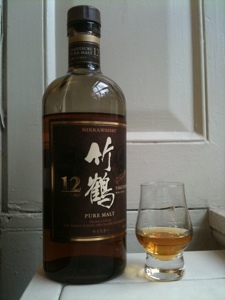 I'm in love with the Nikka from the barrel and have liked some of the Pure Malt series as well; it seems this may be like the latter. Ryan! Thanks for the feedback. This is just lovely, comfortable, enjoyable whisky. It's not going to challenge you, and at $70 isn't a superb value - but it's considerably richer and darker than Nikka from the Barrel despite the 40% issue. I have no problem at all recommending it to anyone desiring that rich caramel & tropical fruit atmosphere of Japanese whisky and doesn't mind paying a bit for it. This is definitely "daily dram" territory for me lately.